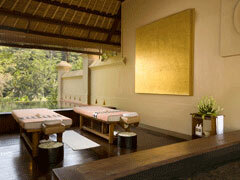 Bali Spa This is spa villa wich fusion from Japanese and Balinese flavor. 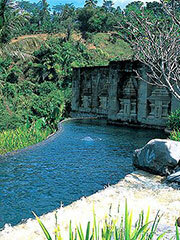 Kirana means (Beauty In overall, including inner beauty) in Indonesian, have been built in the soothing place. Gives solving the fatigue mind and body, please go with the simple depth treatment. All menu include ultimited use of Spa Garden. On more than 1,900㎡premises Spa Garden, two swimming pools and separate dressing rooms for men and women, each equipped with a shower room, Jacuzzi, dry sauna and herbal mist sauna are located. 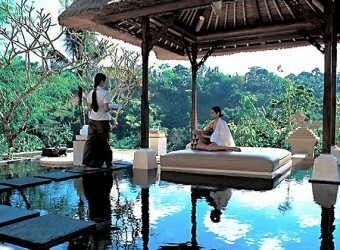 All Kirana Spa guests are welcome to use services (optional menu and food & beverage) and facilities of the Spa Garden. The villa offers quiet and ing space for couple guests. 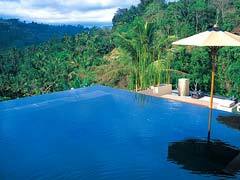 The villa has pool, jacuzzi, harbal mist sauna, shower, bathroom, and changing room. 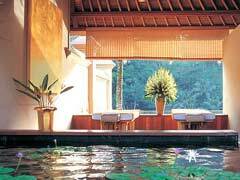 It's the perfect private villa for spa lovers. The villa has changing room and bathroom. 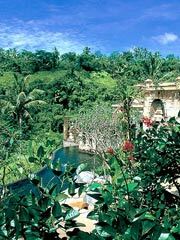 It's the private villa surrounded by nature and Balinese artistic. 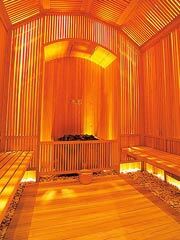 ※Spa Time & ation includes healthy juice or harbal tea. This nurturing ritual combines gentle massage strokes and blend of neroli, lavender and other essential oils to soothe the senses. This reviving body treatment uses naturally sourced ingredients to exfoliate the skin and leave it feeling refreshed. It is followed by a body massage for added ation. Products: Royal Kirana Natural Oil + Natural body scrub. A lemongrass scrub is gently applied to the whole body to remove dead cells and give the skin a new lease of life. 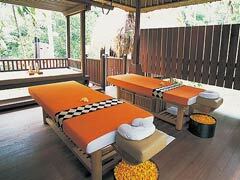 Then a ing massage is performed that will leave you feeling fresh all over. Products: Royal Kirana Natural Oil + Natural body scrub. 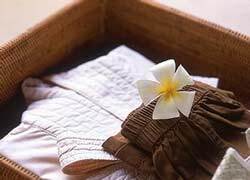 This traditional Balinese massage is a combination of gentle stretching, acupressure and aromatherapy using hibiscus oil to stimulate the flow of blood circulation, oxygen and ‘QI’ (energy) around your body. It evokes the senses and brings deep ation for an overall feeling of wellness. 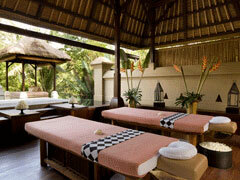 Balinese massage is a luxurious spa treatment if you are seeking harmony of the body, mind and soul. Products: Royal Kirana Natural Oil. This total body treatment is performed to eliminate inner and outer stress. You will be guided into a state of sublime ation through gentle massage and the healing art of touch. Products: Royal Kirana Natural Oil. This treatment concentrates on the lower legs and feet, from the toes to the knees. It is performed to stimulate blood circulation and softens the skin with a scrub and foot bath. Gentle massage will reduce fatigue and swelling as well as promote smoother skin. It will remove tension not only from your feet but also the entire body. Products: Royal Kirana Natural Oil + Natural Scrub. This treatment works directly with the lymphatic system, which is responsible for clearing toxins between the cells of the body. This full body treatment improves the immune system and es the nervous system. You will experience progressive movement through the entire body by rhythmic pressure, lymphatic massage, assisted stretching and movement, as well as an invigorating foot treatment, completing with energy balancing to clear the auric field. This therapy is practiced with the client dressed in yoga clothes. Products: Royal Kirana natural oil only on the feet. This is the ultimate healing therapy. 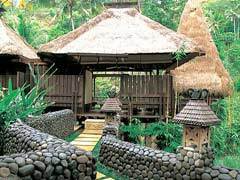 You will receive a balanced treatment to reduce muscle stress and tension patterns as well as clear away toxins and impurities by integrating specific techniques from both the Balinese deep tissue and detoxification therapies. Products: Royal Kirana natural oil. You will be moved in and out of yoga postures while the yoga therapist uses hand compression, acupressure, energy balancing and assisted stretching to get the maximum benefit of each movement. You will feel ed yet energized, receiving the complete healing benefits of Yoga. This therapy is a full body treatment with the client fully dressed in yoga clothes and is practiced on a mat on the ground. Products: No oils are used for this therapy. A beautifying treatment to enhance the appearance of your toe nails using colour and nail art. A beautifying treatment to enhance the appearance of your finger nails using colour and nail art. Enjoy a complete upper arm massage that extends down to your fingertips. It effectively reduces hand, arm and shoulder fatigue by stimulating blood circulation and applying pressure to the ‘tsubo’ (effective pressure points). Products: Royal Kirana Natural Oil. This treatment reduces fatigue by thoroughly stretching and massaging the toes and lower legs up to the knees. By stimulating blood circulation, swelling is reduced to give you light and refreshing feet. Products: Royal Kirana Natural Oil. This treatment stimulates blood circulation, removes inner and outer stress as well as activates the brain. Products: Decleor. Release travel stress with this therapy that focuses on the head, neck and shoulder. Benefit from a greated range of motion. I was glad that I booked a little higher rank spa! The massage was performed by a well trained therapist. A gentle massage and also massage the pressure points to relieve stiffness. I enjoyed a luxury moment at villa spa. It was a relaxing space with a tranquil natural environment. I think I’d like to use this spa again.